Made in Canada, Anais Anette is essentially the concept twofold – both names mean "grace." Grace sparks the pursuit of refined simplicity in form and elegance in movement. 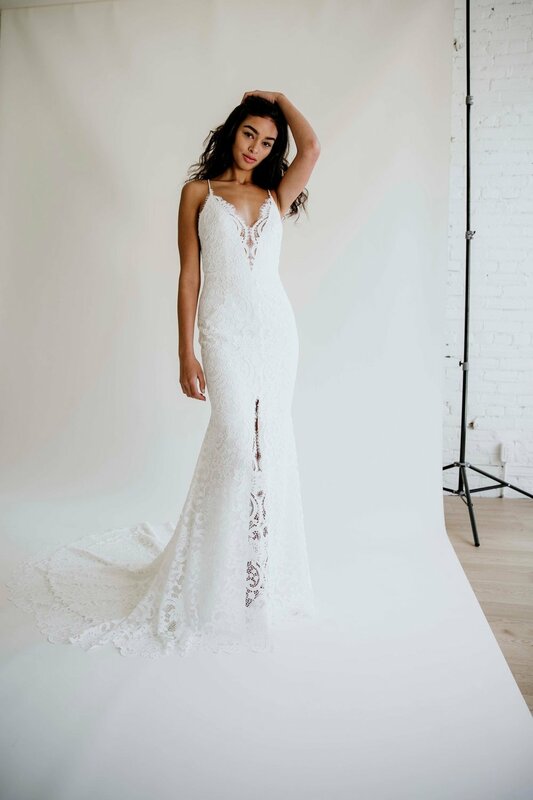 Every Anais Anette gown is impeccably designed with exquisite details and luxurious fabrics. Minimal, simple designs with a chic and elegant touch, these gowns are perfect for the modern bride and sophisticated bride. Price Range : $2,100 to $2,900.